The first webinar incorporating Tellington TTouch has now been launched! Here we take a look at what reactivity is and some of the ways it might manifest in our animals. Taking an integrative approach we then explore the options which both Tellington TTouch and zoopharmacognosy (as well as some other therapies) offer us to help the animals which share our lives find a more acceptable way of dealing with situations which they may find overwhelming or frightening. 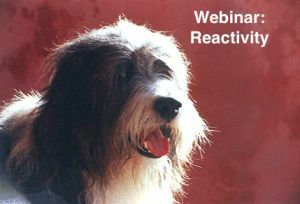 The link to the webinar is under the Learning Menu.